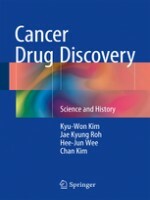 The reader will discover a comprehensive and multifaceted overview of the history of the development of anticancer drugs deeply influenced by the cell concept of cancer and future directions for the development of new anticancer drugs. First, this book documents the scientific progress in biological science over the last 70 years and the influence this progress had in cancer research. Summaries and charts of important discoveries complete this overview. Furthermore, this book outlines the process of anticancer drug development with a focus on the characteristic drug groups of each era, related to advancements of chemistry and biological sciences. This book also provides brief mechanism of action of drugs, illustrated by comprehensive timelines and conceptual cartoons. This book finally sums up the limitations of the current anticancer drug development and seeks new directions for anticancer drug discovery, considering under the systemic view of cancer.